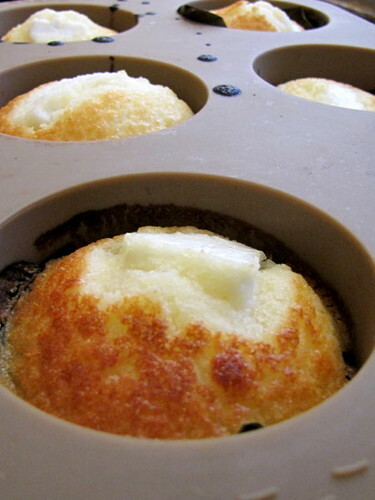 Bibingka Muffins ~ I Can Do That! 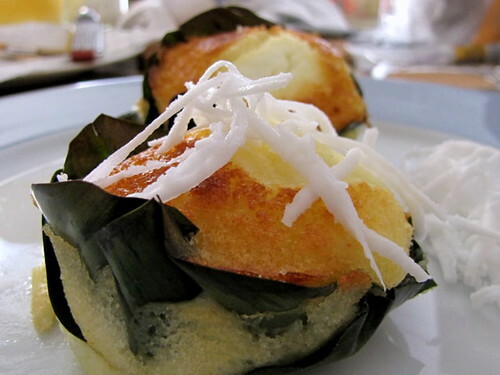 Bibingka is part of the Philippines' tradition and it has been for over a thousand years already. They really taste good! I love bibingka but I never tired to make them. Maybe this christmas. Im soooooooo proud of you classmate. Keep it up. These look fantastic! I have had no success with rice flour but will persevere. Will try your recipe. my husband so loves kakanin. Wow, thanks for sharing this! They look fab! Same with Adora, no success with rice flour but always hopeful. In fact I have a new brand to try :-). That's what I call a real talent :) I know some who took the training but still couldn't cook...I wonder how much time you spend in your kitchen and who gets to eat your creations? Hi oggi, should i hand mix the batter or use a mixer?. Also, should i mix the batter until smooth? Or until just combined? With lumps on the batter. Thanks. Hand mixing with a rubber spatula or wooden spoon will do the job well. Mix the dough until free from lumps. Hi oggi, what kind of rice flour did you used? Just rice flour or the glutinous rice flour? Thanks. Hi, I tried this today. They taste good but they came out flat, not domy like the one in the picture. They didnt come out fluffy either. I thiickened my eggs as directed and when I mixed up all the other ingredients, batter started out very thick, so I added milk (coconut and regular milk)still it didnt seem to be runny at all. I added about half a cup more. I didnt want to add any more cause I was afraid it might change the whole thing. How much more milk shoiuld I have added? Until runny? 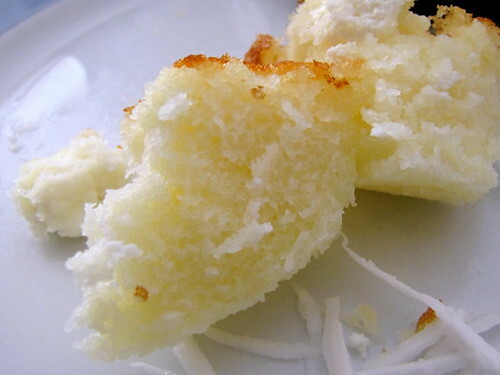 The consistency came out to be like more of puto puti, rubbery, but tasted really nice. What did I do wrong? I don't know what happened. You can try again with a newly bought baking powder. To test if the one you used is still active, mix a teaspoon with a teaspoon of water. It should bubble up. The post is talking about the mix and how I baked them as pictured. Self explanatory. Hi what is a good replacement for kesong puti? Just in case I don't find it here in our local grocery store. You can use drained and lightly salted cottage cheese or cheddar cheese. These look yummy! I want to make them but not sure if you used the glutinous rice flour (mochiko) or just a regular non-glutinous rice flour?